The Tiangong-1, also called “Heavenly Palace” lab is colliding with the Earth. China’s first space station is about to crash down to Earth next year, approximately in the second part of 2017. However, speaking at a satellite launch centre in the Gobi Desert last week officials said the unmanned module had now “comprehensively fulfilled its historical mission” and was set to re-enter the earth’s atmosphere at some point in the second half of 2017. “Based on our calculation and analysis, most parts of the space lab will burn up during falling,” the deputy director of China’s manned space engineering office, Wu Ping, was quoted as saying by official news agency Xinhua. While most of the eight tonnes of space station would melt as it passes through the atmosphere, McDowell said some parts, such as the rocket engines, were so dense that they wouldn’t burn up completely. “There will be lumps of about 100kg or so, still enough to give you a nasty wallop if it hit you,” he said. Wu Ping, the space official, told reporters the lab – which was launched into space amid great fanfare in September 2011 – had made “important contributions to China’s manned space cause” during its four and a half years of service. She claimed its return to earth was “unlikely to affect aviation activities or cause damage to the ground”. “China has always highly valued the management of space debris, conducting research and tests on space debris mitigation and cleaning,” Wu said, according to Xinhua. “If necessary, China will release a forecast of its falling and report it internationally,” she added. 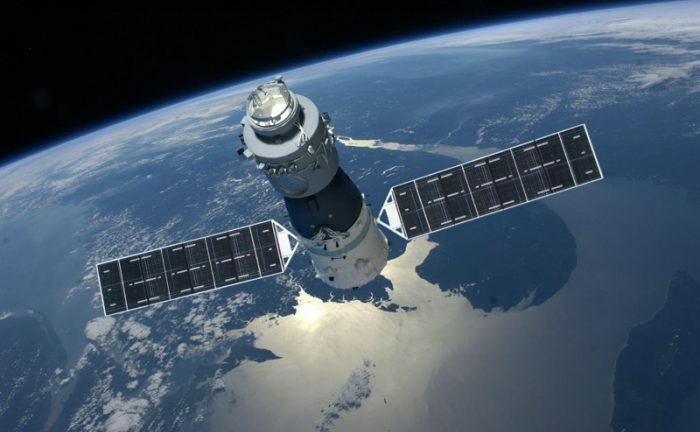 Space enthusiasts who have been monitoring Tiangong-1, and attempting to draw attention to its plight, fear there is a risk – albeit small – that pieces of the falling lab could cause damage back on earth. “It could be a real bad day if pieces of this came down in a populated area,” Thomas Dorman, an amateur astronomer who has been attempting to track the missing lab, was quoted as saying by the space.com website in June. China’s first space lab was most likely to land in the ocean or in an uninhabited area, Dorman admitted.